2015 UK Contact Centre Decision-Makers’ Guide - Email Management Chapter | Eptica - Multi Channel Customer Interaction Software. Email Management. Web Self-service. Live Chat and Agent Knowledgebase. Find out more about Email Management performance, technology, and strategic direction, based on over 200 interviews with UK contact centres. 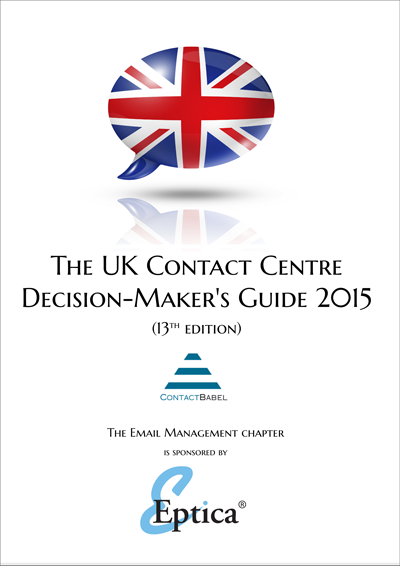 Created by ContactBabel, Eptica is proud to be the sponsor of the Email Management chapter of the 2015 UK Contact Centre Decision-Makers’ Guide.